Meet our Featured Food Blogger Joana of My Gut Feeling blog where she shares healthy and delicious, primarily low-FODMAP, gluten-free and dairy-free recipes as well as information (in both English and Portuguese) on the low-FODMAP diet (some in the CD/Gluten-Sensitive community are turning to a low-FODMAP diet after discovering eliminating gluten alone isn’t enough to regain optimum gut health). 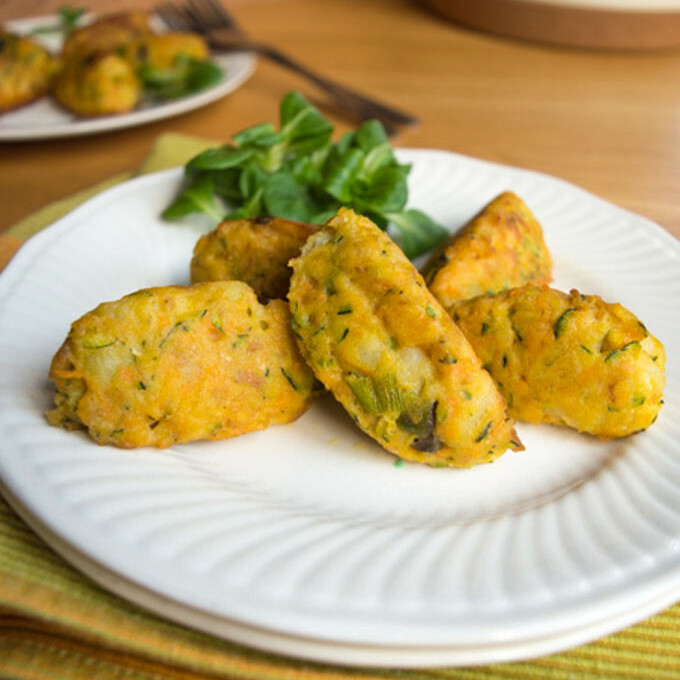 Joana, who is Portuguese, has created a quicker version of traditional Portuguese fish cakes (bolinhos de bacalhau in the North of Portugal or pastéis de bacalhau in the South). 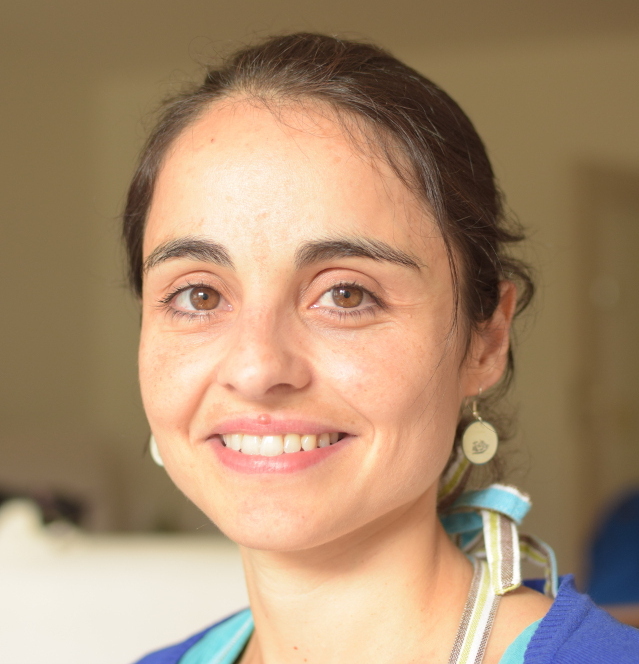 Joana has lived in Portugal, Spain and Italy, and currently resides in Belgium. 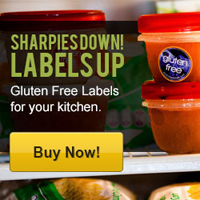 both in English and Portuguese and resources for eating and cooking with food sensitivities. These tuna and zucchini cakes are very versatile: you can easily take them to work, have them for dinner with a green salad or serve them as an appetizer! 1. Grate the zucchini in a colander over the sink and press to drain the water from the courgette. 2. In a large bowl, combine tuna, potatoes, grated carrot, zucchini, green onions, capers, salt and pepper (optional) and gently mix. 3. Add the flour and egg and combine. 4. Heat olive oil in a large skillet over medium high heat. Scoop a big tablespoon of batter for each cake. Use 2 tablespoons to make the desired shape (please check this video for instructions). Otherwhise you can flatten the batter with a spatula. 5. Cook and flip until all sides are nicely golden brown, about 2 minutes each side. Be sure to follow Joana and My Gut Feeling for more delish low-FODMAP, gluten-free, dairy-free (allergy-friendly) recipes! 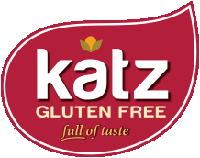 I am new to eating gluten free and always looking for new recipes to try, thank you!!! Looks delicious. I definitely need to look into the Fodmap diet. What a great spin on traditional pasteis de bacalhau! Can’t wait to try!